Gazprom postpones offshore gas production: Will prices rise in Europe? In the mid-2000s Gazprom tried attracting partners for developing shelf deposits, but poor economic conditions impeded the plans. Now private Russian companies may join the production projects on the shelf. 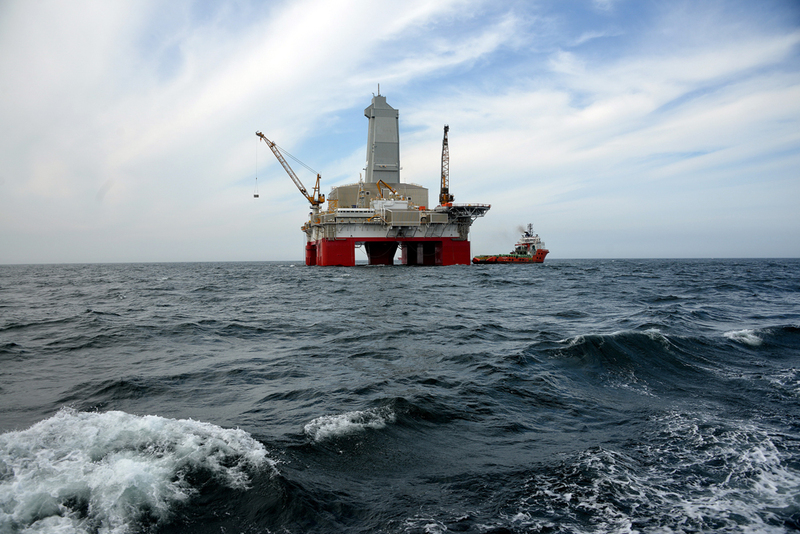 Gas and oil exploration in the Barents Sea shelved. Gazprom will not be able to increase its gas reserves via Barents Sea shelf projects anytime soon. Rosnedra, the key government body responsible for the production of minerals in Russia, has permitted the country's largest oil and gas companies Rosneft and Gazprom to move back the dates of their geological studies and the beginning of oil and gas production on the shelf. The decision affects 31 fields, RBC Daily reports. Earlier, Gazprom itself had offered to postpone the exploration of the Barents Sea shelf. The company believes that in the current economic situation it is not commercially viable to conduct geological studies on the shelf, according to an article published in an in-house company magazine. Consequently, Gazprom asked the government to extend the dates for exploring the deposits. Originally, they were supposed to be explored by 2025, but now work will be postponed for a few years for each deposit. The government has decided to postpone seismic studies for two to five years and drilling for another three. In the end, for example, the two fields of Gazprom's Shtokman deposit in the Barents Sea in Russia's north will start functioning not earlier than 2025 instead of 2016, as had been planned. Originally, according to the State Energy Program, no less than 10 percent of all Russian gas was supposed to be produced from the shelf by 2035. If exploration is postponed these figures will not be achieved. "The main factor that influenced Gazprom's decision to postpone its geological studies is the current situation on the global hydrocarbon market," says Alexei Kalachev, an analyst for Finam Holdings. Conducting seismic studies and - most importantly - drilling on the remote shelf are too expensive and economically disadvantageous when oil is at such a low price, he said. It is more reasonable to concentrate efforts on shelf territories that are more accessible for studies and postpone the difficult fields for better times, he added. "The proven reserves will last more than 70 years, which is why there is no urgency for Gazprom to develop resources on the shelf," says Mikhail Korchemkin, head of East European Gas Analysis. But one important question remains. Will this influence the price of Russian gas for European customers? Korchemkin says the cost of production and the volume of reserves are not included in the Russian gas pricing formula and is therefore unlikely to impact the price for European gas consumers. Russian companies are likely to resume exploring the shelf when oil prices return to $100 per barrel, which is unlikely before 2025, says Georgy Vaschenko, director of operations on the Russian capital market at Freedom Finance. But Europe is not short of gas supplies; those of LNG (liquefied natural gas) are increasing, as is the volume of solar energy, he adds. In the mid-2000s Gazprom tried attracting partners for developing shelf deposits, Vaschenko says. But poor economic conditions impeded the plans. Later Gazprom held talks with French company Total and Norway's Statoil. "But due to the supplies of shale gas from the U.S., the European partners abandoned the project and Gazprom registered losses, the amount of which it has still not divulged," explains Vaschenko. Now private Russian companies may join the production projects on the shelf. Russia's largest private oil company Lukoil is ready to help Gazprom develop the shelf of the Chukchi Sea, Lukoil president Vagit Alikperov said during the St. Petersburg International Economic Forum. However, in order to do so, exploration law will need to be changed. Current law allows only state-owned Rosneft and Gazprom access to the shelf deposits. A new bill to allow the participation of private companies is currently being prepared by the Ministry of Natural Resources by decree of Russian President Vladimir Putin, minister Sergei Donskoi told the forum. Would France’s rejection of American LNG open the door for Gazprom?